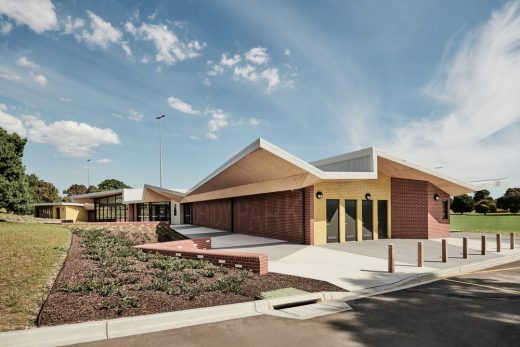 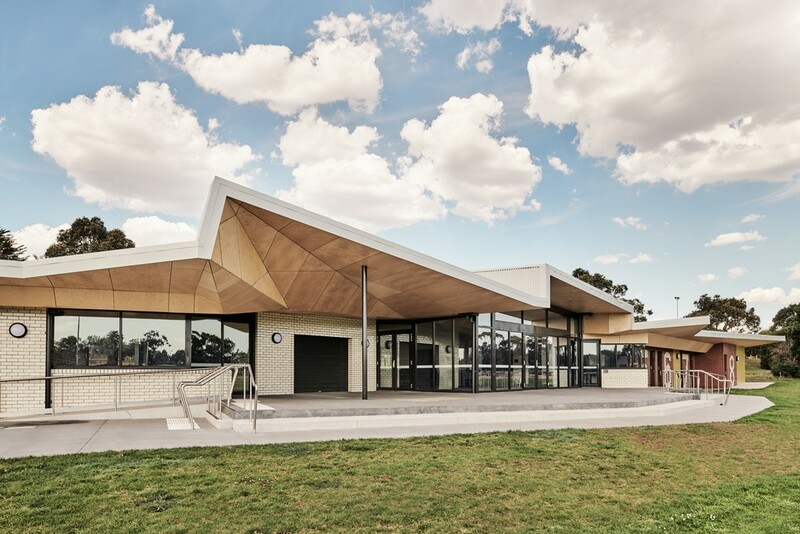 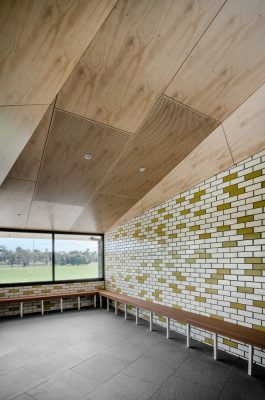 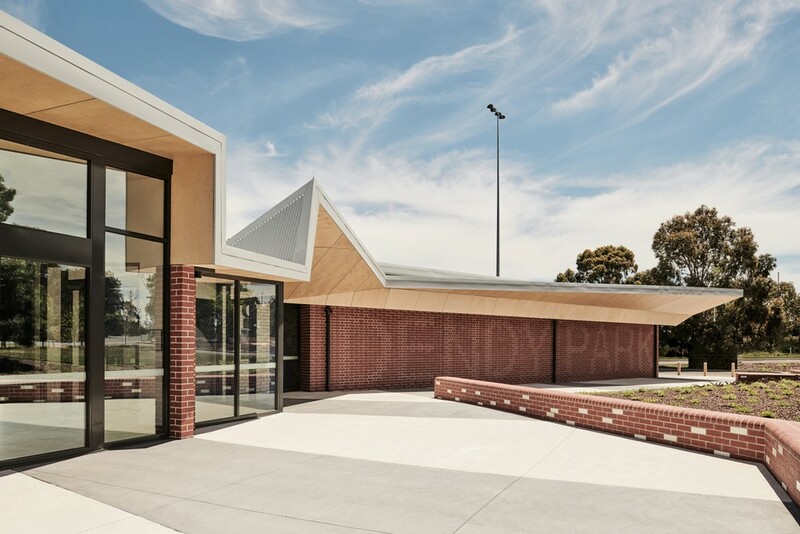 Dendy Park Sporting Pavilion was specifically designed for the exponential growth in junior women’s soccer, and recognizable by its brick super graphic & dynamic roofline, this new community sports hub actively promotes participation across all ages. 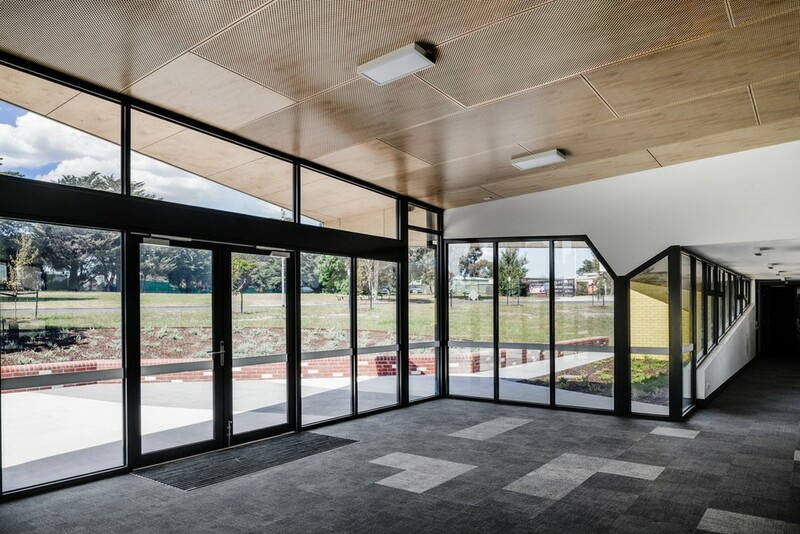 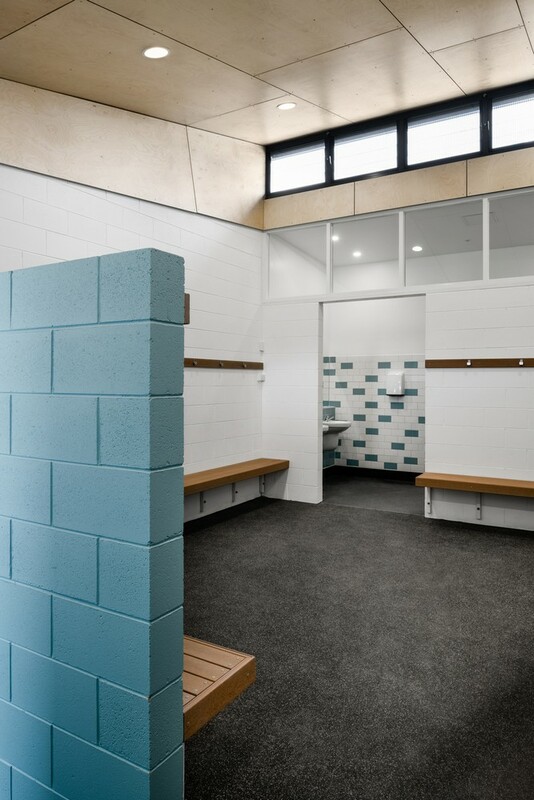 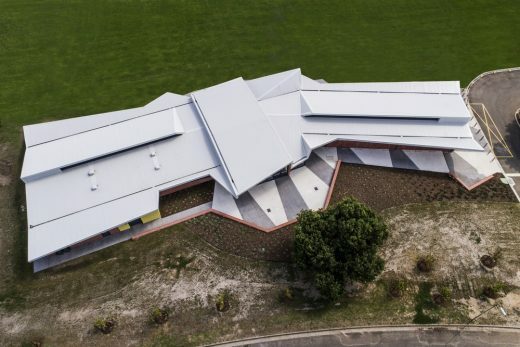 Featuring eight changerooms, a Social Space, Umpires areas, Kiosk & Storage spaces the design balances an array of subtleties for a large scale facility in a popular parklands environment. 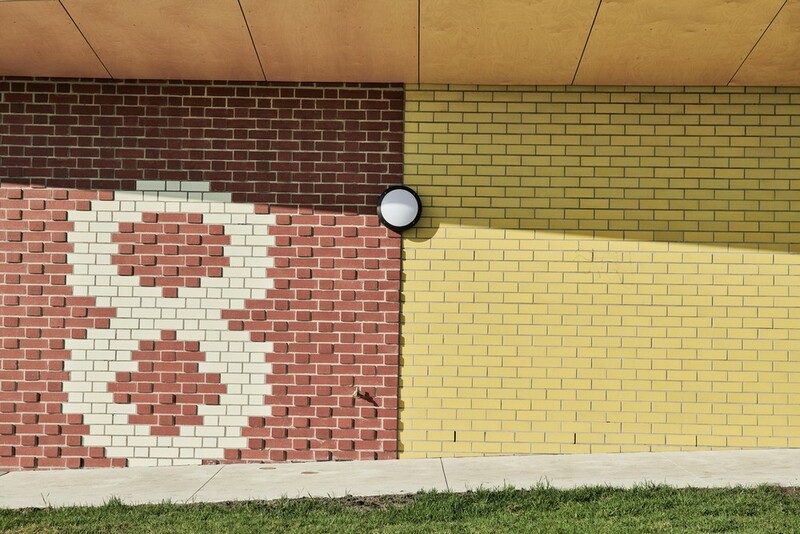 At the entrance, ‘Dendy Park’ is superimposed as a brick super graphic, referencing both the local red clinker brick history of Brighton East & a visual identity for the building celebrating the popular parklands. 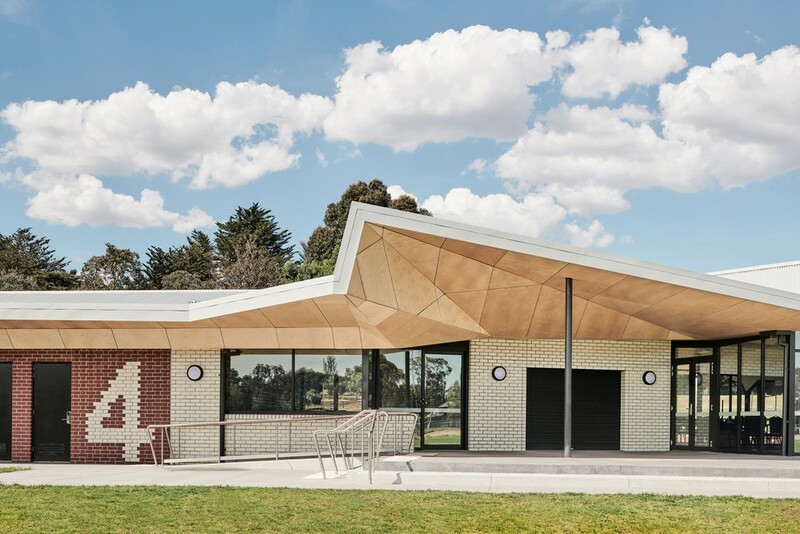 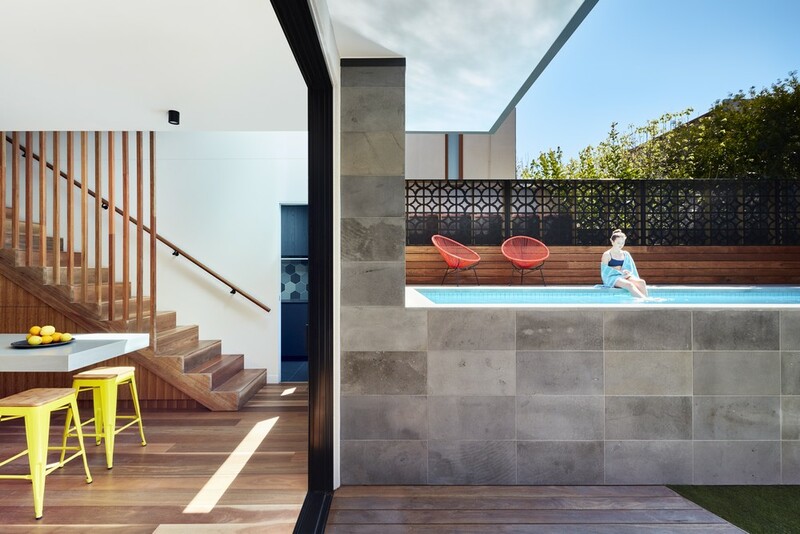 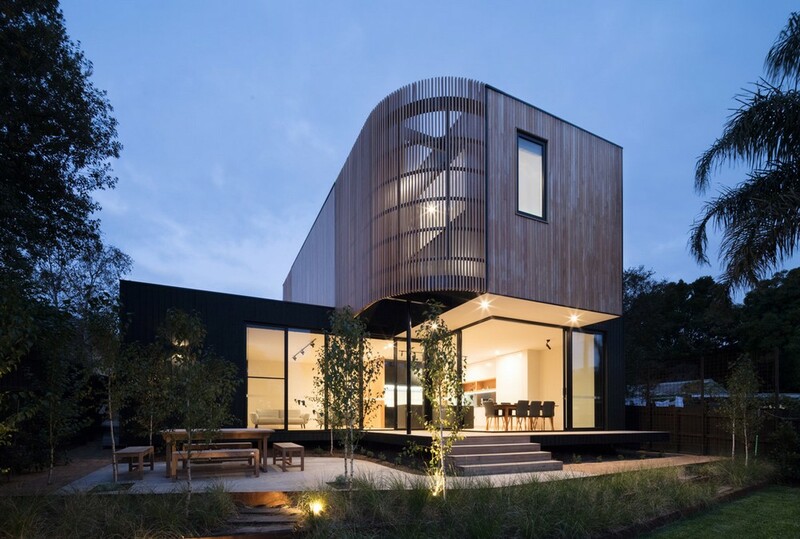 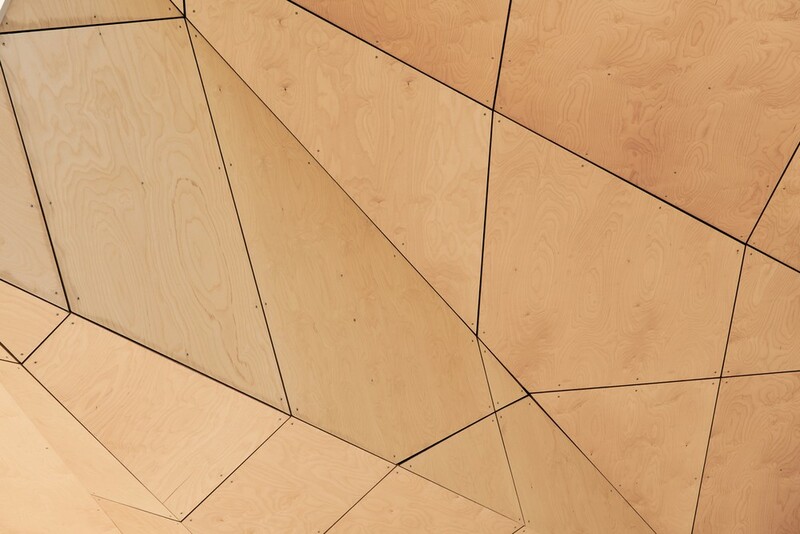 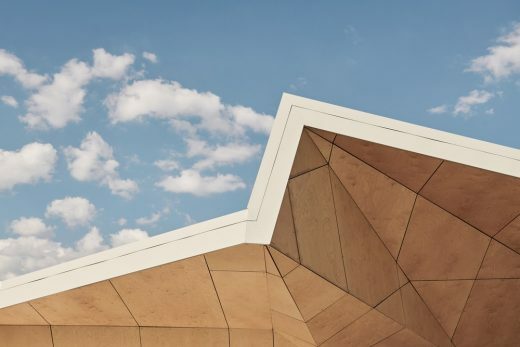 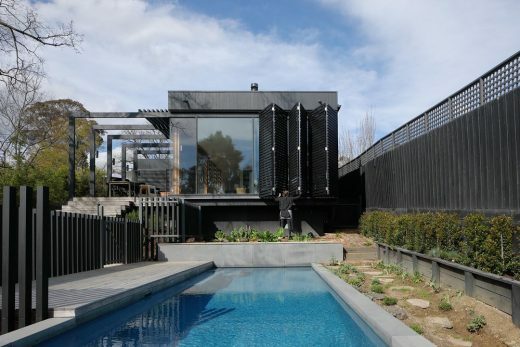 A dynamic angular roof line shapes itself to active frontages and provides passive shade protection to public viewing areas, breaking up the volume of the building in the parklands. Environmental Sustainable Design (ESD) is a key driver throughout the project. 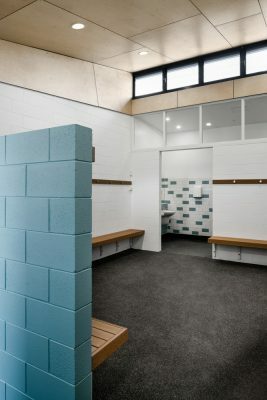 Passive heating, cooling & natural ventilation is achieved into all changerooms & social areas while the community space has dual orientation for northern aspect & flexible community use. Rain water gardens, low VOC materials, rain water tanks & water efficient fixtures are all integrated throughout. Into the future, the facility will generate substantial benefit for local community groups, while actively promoting sporting participation in Soccer & Cricket.